Becoming a Patient | Family Health Care Clinic, Inc. 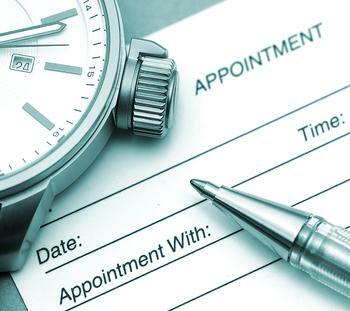 There are several ways to make an appointment. You can call a clinic in your area directly during regular clinic hours or stop by a clinic during regular hours to book a future appointment or you can call our toll-free number, 1-800-508-7481, to schedule an appointment at any of our locations. A list of current medications (bring the bottles themselves if you are unsure) including vitamins or other over-the-counter medicines. For children’s visits, please bring your child’s immunization records. A list of questions you want to discuss with your provider. Your insurance card or coverage information. Your co-payment (if required by your insurance.) This will be collected at the time of your visit. Family Health Care Clinic also provides services according to their ability to pay on a sliding fee scale. The regular charges are discounted based on your qualifications from 20% to 80%. You may be eligible to pay a nominal fee for services. Inform the provider of any medical ailments that you feel may have gone untreated. Inform the provider of your medical history. Communicate to the staff with respect any concerns, complaints, or grievances you may have with individuals and/or policies of the organization. Ask all questions that have gone unanswered or that are not clear to you in reference to a treatment plan. To the best of your ability follow the health care maintenance plan prescribed by your provider. To the best of his/her ability keep your appointment to see the provider and inform the front desk if for some reason the appointment cannot be kept. Follow the policies and procedures outlined to you in the receipt of services. Be respectful to all staff in obtaining health care services. Not be disruptive or abusive to other patients, clinic staff, or policies when receiving health care services. To the best of your ability provide payment for clinic services in accordance with your ability to pay as determined by the receptionist. To the best of your ability when appropriate make appointments for receiving services. Inform the staff when there is a medical emergency when calling or presenting to the clinic for services. Inform the front desk staff when you have had a change in address and telephone number. Return the phone call received from the clinic if you were not available at the time of the call. Ask your health care provider what to expect regarding pain and pain management. Tell your health care provider about any worries you have about taking pain medication.